One of the ways that Twitter recognizes its most influential users is by verifying them. This process isn’t new, but the social media company recently announced that it would be opening up verification to the public. Users whose accounts have been verified by Twitter are easy to recognize by the blue badge next to the profile. Verified users have always been a small and very select group. This may be changing as the social media site has announced that it’s now allowing more accounts to become verified. However, it’s still far from an open-door policy. 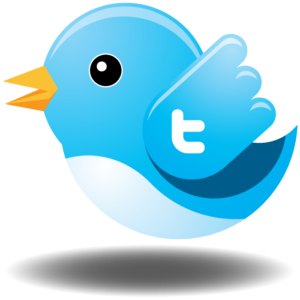 Twitter has historically given preference to accounts that are considered to be of high value to the community. In the past, verification was something that Twitter bestowed upon certain lucky users. There was no application process. Accounts that were most likely to be verified were those run by high profile people and companies. Exactly how much this has changed remains to be seen. What is different is that now anyone can at least submit an application for verification. Twitter recently announced that it opening the doors to more users getting verified. This doesn’t mean that every application will be accepted. In fact, so far it looks like the standards are still quite strict. Still, the fact that Twitter has at least created a submission process suggests that it’s a little easier than it used to be. The following guidelines are essential to be considered for Twitter verification. Your Twitter handle must match your name or the name of your business. This excludes Thus, if your handle was inspired by the name of your pet, favorite sports team or superhero, it won’t be considered. Businesses using Twitter for branding purposes will most likely be conforming to this requirement. Others should consider changing their handle or starting a new account. Accounts that are associated with a business must be linked to that company’s email address. This is not a difficult criterion to meet and is something most businesses will be doing already. If you’re currently using a Gmail, Yahoo or other generic email address, it’s easy enough to create a new one that reflects your business name. Complete Twitter profile. Your profile must have be filled out completely and include your bio, website URL, email address and phone number. You must also supply a headshot. This is a sensible requirement that prevents spammy accounts from getting verified. Twitter may also ask for proof of your identity in the form of government-issued ID. These are only the minimum requirements. Twitter is still placing significant obstacles on the road to verification. You must provide what Twitter deems to a valid reason for verification. This can be related to your desire to reach a wider audience and build your following. Verification is primarily for large businesses, celebrities, influencers and others in the public sphere. On the other hand, factors such as the size of your following are supposedly not taken into consideration. Another legitimate reason for verification exists if you’ve had problems with people impersonating you online. While this happens most frequently to well-known individuals and businesses, it can also a problem for individuals who have had their accounts hacked or their identities stolen. If you’ve had a non-verified account for a long time, you may be wondering if it’s even worth the trouble to get your verification badge. The fact is, if you’re using Twitter for marketing, branding or networking purposes, it’s quite advantageous to get verified. One of the best ways to use Twitter is to connect with influencers in your field. You have to start by following them. If you want them to follow you back, your chances are much better if you’re verified. You may have to do more than that, of course, as popular people have lots of followers. At the very least, verification shows you are who you say you are and not a spam or bot account. Because the percentage of verified accounts is so small, this honor makes you a member of the social media elite. Of course, if Twitter really opens the doors for millions of accounts to get verified, this status would lose some of its glamour. So far, however, there’s no evidence that getting verified is going to be easy. In fact, there’s already evidence that certain high profile users are rejected. How Difficult is it to Get Verified? Twitter only recently announced that it was loosening its acceptance policies for verification. Like other large companies in the tech and social media sectors, Twitter is not exactly transparent about many of its decisions. As it stands, the process is still one that’s decided on a case-by-case basis. If you are declined, you can re-apply in 30 days. The operative word in that sentence is “key.” What can you do to demonstrate that you’re a key individual or business? According to Twitter, this has more to do with the type of content you publish than the number of followers you have or how often you tweet. Thus, if you’re eager to obtain one of these blue badges, the best policy is to make sure you cover some of the topics Twitter considers important, such as journalism, sports, media, fashion, politics and music. In other words, you’re more likely to get verified if you tweet about topics of general importance as opposed to posting personal anecdotes, jokes or pet photos. It remains to be seen whether Twitter is going to make the whole process more accessible to the general public. As of now, all that’s changed is that anyone can submit an application to get verified.